The Prophetic Movement teaches its followers that they can live in perfect health. If that is true, why are so many wearing glasses? Folks, wake up! These people are the self-appointed, self-anointed “apostles” – global leaders of an aberrant cult called Latter Rain, which they renamed the New Apostolic Reformation. These are the same “prophets” that brought you the Toronto and Pensacola drunken-laughing revivals where people barked like dogs, writhed in birthing pains, and worse. This is the same crowd that brought us Todd Bentley in Lakeland, Florida, now disgraced by flagrant sins, whom they are still trying to spiff up. These are the same leaders who propped up Ted Haggard. 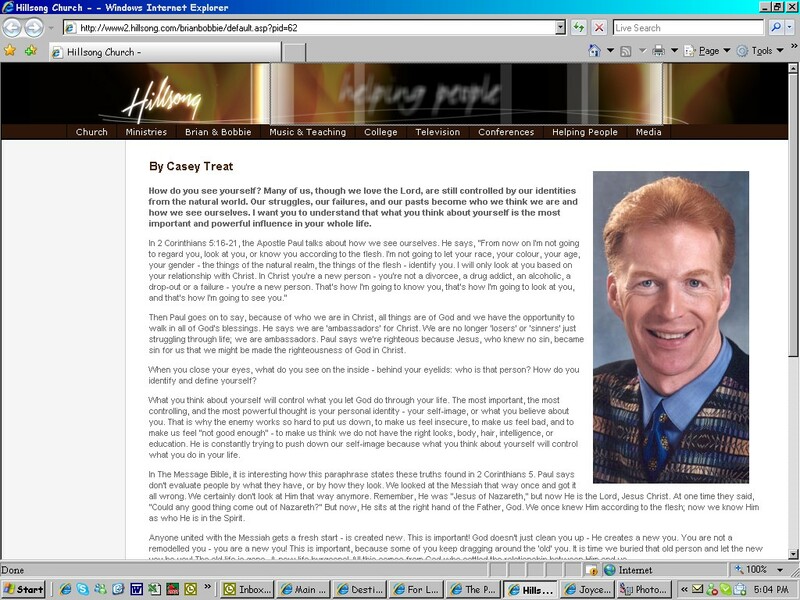 Worse, these are the same NAR “apostles” who are trying to create a “Joel’s Army.” Follow the links in this article and the two previous Herescope posts on this topic! And then ask, are these the type of “respectable leaders” we want praying prayers of repentance on behalf of the American church!? “I AM brooding over many areas in the earth – government, economic and spiritual structures – and changing the structures of how these systems have operated in past seasons…. It is the dominion activity of the church, especially relative to Israel, that creates the kairos moment of His return. Taking dominion of the earth should be the object of the church’s obsession. One of the most amazing aspects of the May Day event, planned in Washington, D.C. at the Lincoln Memorial on May 1, 2010, is its Official Program stating the “Prayers of Repentance for the Seven Mountains of Culture.” Many good-intentioned believers are being led into this event because they support its conservative political ideologies and moral overtones. They support Israel and they are against abortion. But do these folks also support the Seven Mountains of Culture Mandate? And are they fully in agreement with the esoteric theology of these spiritual warfare prayers and the Dominionist goals of the NAR leaders of the May Day event? The dominionists teach that restoration occurs as believers serve as stewards of this world, taking back what belongs to God. Believers are to bring the Kingdom of heaven to earth and enforce the dominion and authority of heaven upon everything evil. The spheres are a way to channel this mandate. This May Day event is connected to the GDOP because the prayer leaders of the May Day event are interconnected with the same leaders of the New Apostolic Reformation that brought us the GDOP. The Official Program indicates that the May Day schedule at 9 A.M. launches prayers of “Repentance for the Mountain of Religion” and for the “The Church,” given by Dutch Sheets, Chuck Pierce and Cindy Jacobs, among others. These false “apostles” are connected with C. Peter Wagner and his International Coalition of Apostles, who believe they have a Dominion mandate on earth. 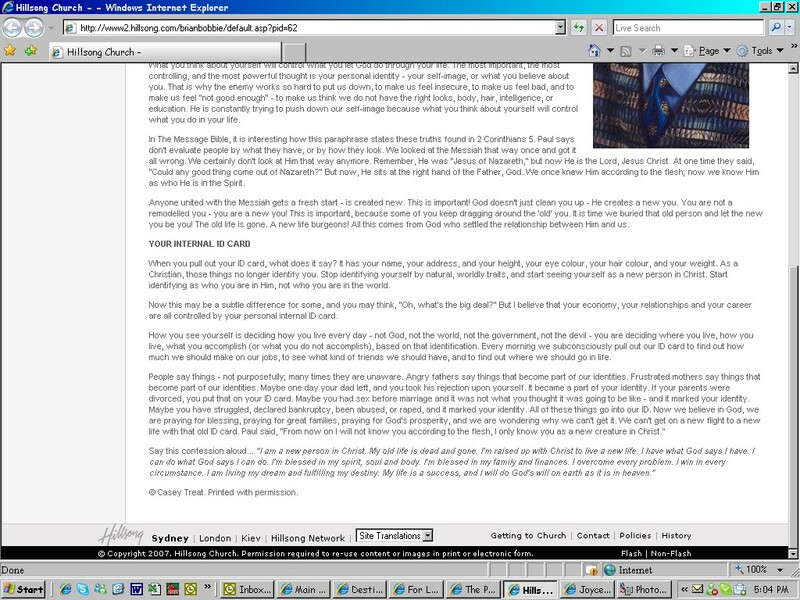 C. Peter Wagner, chief “apostle” of the New Apostolic Reformation, lists “Identificational Repentance” as one of the “10 Major Prayer Innovations of the 1990s,” which includes “Strategic-level spiritual warfare,” “Prayer evangelism,” “On-site praying,” “City transformation,” “Commitment to the land,” and “Spiritual mapping,” among others. This list is basically a compilation of the new prayer-warfare doctrines that were promulgated during the 1990s…. C. Peter Wagner cites “Identificational Repentance” as one of the key “New Spiritual Weapons” for advancing the Kingdom of God on earth. In other words, “identificational repentance” is a useful tool for Dominionism. Wagner believes that in these last days “God has provided the Body of Christ with some new spiritual weapons which will help us penetrate the darkest realms of the Enemy.” Undergirding Wagner’s ideas about spiritual warfare is the erroneous doctrine that Jesus’ work was not finished at the Cross, and that Jesus “has delegated His Church to continue the [war against Satan]” here on earth. Another key component of this new doctrine is the idea of “Corporate Sin.” A corollary heresy teaches that nations are entities (beings) that can corporately experience salvation, and a related heresy teaches that the land itself is spiritual and in need of redemption. These heresies can be found in various traditions of pagan mysticism, but they are not biblical. Make no mistake about it: the “cultural mandate” to “redeem cultures” (or whatever other terminology is used) is a re-work of the old “Social Gospel” movement of the 20th Century. “Prophetess” Melinda Richardson heads up Kingdom Concepts http://kingdomconceptsinc.net which is linked with Chuck Pierce’s Glory of Zion, and believes in his brand of “declaring and decreeing” type of spiritual warfare prayer. The May Day event, like the Global Day of Prayer, uses a format of scripted public prayers that contain doctrinal messages embedded in them. While one might agree with some of the prayers, other prayers are mixed in that contain the new doctrines of the New Apostolic Reformation. Can you spot the heresies behind these prayers? Are you able to agree with the beliefs of these NAR prayer agents? Will you have the discernment to recognize the prayer language of apostolic Dominionism, even when it comes in the guise of fervent patriotism? We urge those who are supporting this event to carefully investigate our past two reports here and here in light of today’s post. It isn’t too late to withdraw your support of this controversial event. Further reading on this topic is suggested below the footnotes. The sad fact is that great opportunities to present the message of the Gospel of Salvation are being lost. Precious time is being wasted on these esoteric prayer shenanigans, while those who need to hear the message of the Cross are dying in their sins. Those who truly need to hear a message of repentance, salvation, and hope aren’t being witnessed to. Discipleship isn’t happening. Rather, all of these prayer antics and hullabaloos, decrees and declarations, marches and meditations, and covenants and manifestos are clogging up the works, taking up precious time and resources of the church, and fooling people into thinking they are doing something “spiritual.” It is a false gospel that preaches that the culture/nation can be changed rather than focusing on the lost who will perish in Hell if they do not repent. The message of Jesus is salvation, and this message is for the individual believer. It is only by ministering the WORD and the preaching the message of the Gospel of Salvation, of Christ’s atoning death for our sins on the cross, that we will reach those who are perishing. And when the lost are truly saved and born again, their lives will change, and this is when the miracles begin to happen, and when the culture around them begins to be positively impacted by the salt and light of their changed lives. The prophets of the New Apostolic Reformation (NAR) are predicting a “revival” in the state of California, USA. These psychics are the ElijahList false prophets whose money-making scheme has deceived thousands. 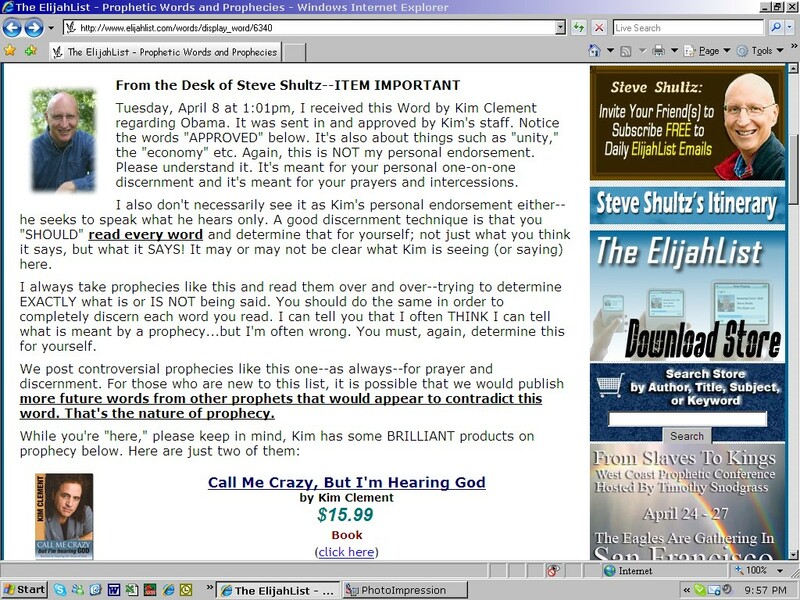 A partial list of these scammers includes C. Peter Wagner, Chuck Pierce, Bob Jones, Mike Bickle, Dutch Sheets, Todd Bentley, Steve Shultz, John Paul Jackson, Doug Addison, Kim Clement, Bobby Conner, James Goll, John Arnott, Patricia King, John Crowder, Bill Johnson, Che Ahn, Rick Joyner, Shawn Bolz, Gwen Shaw (End Times Handmaidens). Be on the alert for John Crowder’s blasphemous teachings and meetings. He is a dangerous wolf in sheep’s clothing, deceiving young people, instructing them to exercise their emotions and carnal desires to “worship” God. Also be aware of the outrageously heretical teachings of Stacy Denboer, Ben Dunn, and Brandon Barthrop of Red Letter Ministries, among other wolves. John Crowder & Company are part of the Elijah List, founded and promoted by Steve Shultz. Included in this false prophecy scheme are Bob Jones, Bobby Conner, Chuck Pierce, Dutch Sheets, Francis Frangipane, James Goll, John Arnott, John Bevere, Kim Clement, Patricia King, C. Peter Wagner, Rick Joyner, Ryan Wyatt, Todd Bentley, and many more. Recently I posted about Kim Clement’s Obama prophecy in which Clement claims “God” told him to tell us that Obama is God’s man for the White House “to rule and to reign and to declare victory in the Middle East” (whose victory? Israelis’ or Palestinians’?). Read the post HERE. Note what he himself has highlighted in his note. Contradictory prophecies are normal and are the nature of prophecy. According to Shultz, Clement only prophesies what he hears even if it contradicts what “God” supposedly said through another prophet. I suppose if some other prophet hears from “God” that John McCain would be elected President of the U.S., it would also be a valid prophecy from God. You see, that’s the problem with flighty prophets such as those from the Elijah List. There isn’t any consistency and they demean God by saying He contradicts Himself! It takes a lot of adacity and gall to shake their collective fists in God’s face and say “Hey, we don’t care what You have actually said through Your Word, through Scripture! We’ll just make up the words as we go along and tell everyone it’s from YOU! We have to make money somehow, don’t we?” Directly after the note from the desk of Steve Shultz, and before Clement’s prophecy, two of Clement’s “BRILLIANT products” are offered – for cash of course. It is simply amazing that there are “christians” who believe that the prophecies of the Elijah List are from God. No, they are not. Can’t be. Those prophets are listening to a different voice.